As cloud computing evolves, more and more businesses are turning to the cloud to manage their financial data. Cloud technology allows employees, including those in remote or branch offices, to access the same data instantly using an internet or network connection. In cloud computing, the accounting software – typically delivered as a SaaS (Software as a Service) – is hosted on remote servers of the SaaS provider. Data is sent into ‘the cloud’, where it is processed and stored. Users are able to access the data from anywhere, using a web browser such as Microsoft Internet Explorer, Mozilla Firefox, Google Chrome or Safari. Thus, in cloud computing, all software application functions are performed off-site, not on the user’s desktop. Cloud accounting makes the financial administration and management of a business so much easier. But getting started and migrating data from a different kind of accounting system can appear daunting. We are the expert cloud accountants – your go-to guys for cloud accounting – and we can help make the transition of your accounts data and bookkeeping processes happen very smoothly and efficiently. Cloud accounting and software for a fixed monthly fee. Business owners and managers have access to the latest data to see how the business is performing, as opposed to say outdated spreadsheets or financial reports from different departments. This gives you the edge in making timely decisions. Helps staff cut down on errors as they don’t have to use different spreadsheets or financials applications. Online accounting means financial data is always up-to-date. As software application functions (data processing and storage) are performed in the cloud, this minimises hardware and software demands on the user’s side. All that the user needs to run the system is a web-based browser, and the cloud’s network takes care of the rest. Cloud accountants? We’re your friendly go-to guys for cloud accounting in South Melbourne. Cloud accounting is also changing the way accountants and business clients interact with each other. The technology eliminates the need for different versions of the ledger and allows the accountant to update the books in real-time. With up-to-date financial data, as accountants we are able to provide more strategic advice to you, the business owner, in order to meet new challenges. The fundamental benefit of cloud computing for accounting is that it allows the accountant to act as an accountant and not as a bookkeeper. The traditional method of obtaining a set of financial statements once a year is outdated. A financial statement is a set of historical data and provides no insight into how your business is travelling now, today. In contrast, having easy access to the latest financial information in the cloud means you can have an up-to-date view of the business, and make timely decisions. Have an introductory chat with an expert in cloud accounting. Get started towards enjoying the freedom and power of cloud accounting today. 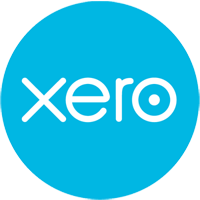 Xero’s online accounting software is used by over 200,000 clients in more than 100 countries. The software is delivered to customers as a service (SaaS) and therefore no setup fees, upgrade costs, or contracts are required. In addition, technical support is available round the clock through email and an online help centre. Hosted in the cloud, Xero is accessible anywhere and anytime via an internet or wireless connection. Users just need to log in and begin their accounting work whether they are at home, in the office or on the go (like in a taxi with an iPad or tablet). Pay all your outstanding bills at once, with only a few clicks. Xero is transforming the way we work as accounting professionals with our business clients. The Xero cloud-based accounting solution is built around the idea of a single ledger, which allows for greater collaboration between adviser and clients. Both parties have access to the same data, and can easily collaborate (eg: update information or generate a report) and make timely decisions, as needed, to improve business performance. Xero helps small businesses save time on back-office processes, while giving us accountants the ability to provide higher-value, higher-impact services to our clients. It’s a win-win. It’s time to move your business into the future with online, cloud-based accounting applications providing real-time data to help you better manage your cash flow. We can help get you started with Xero. Talk to us. Class Super is the leading cloud software for administration of SMSFs (self- managed superannuation funds) and recommended by Billings+Ellis. Class Super streamlines all aspects of SMSF administration, delivering a truly automated and highly cost effective solution. Our cloud-based SMSF accounting software enables us to manage all of your SMSF administration and reporting requirements from a single system – everything from set up to lodgment.